It’s been nearly six years since former junior national team rider Greg Strock charged that his coach and other team officials had doped him without his consent in the early 1990s, and it will be at least a few more months before a jury hears arguments in the case. On Tuesday, the matter made its first appearance in a courtroom as a U.S. District Court judge heard arguments on defense motions to dismiss. Strock, now a medical doctor and a member of the faculty at the University of Indiana Medical School, joined former teammate and fellow plaintiff Erich Kaiter in Denver as attorneys argued whether the case should eventually be brought before a jury. 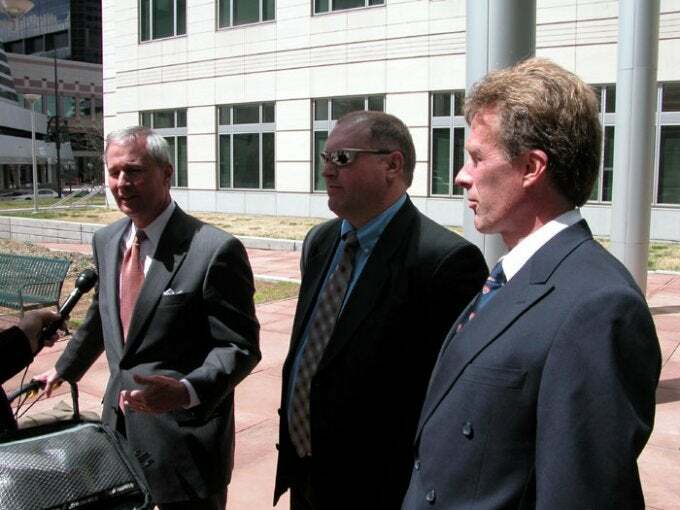 In a motion for summary judgment heard before U.S. District Court Judge John Kane, attorneys for USA Cycling and former junior national team coach Rene Wenzel argued that plaintiffs had made their claim well after the statute of limitations had expired and had also failed to show “causality” – the demonstration that the defendants’ actions had caused actual harm – even if the allegations were true. In setting Tuesday’s hearing date earlier this year, Kane told attorneys on both sides that he was more interested in hearing arguments surrounding issues of causation than he was on the statute-of-limitation question. Strock and Kaiter have continuously maintained that Wenzel, team soigneur Angus Fraser and another U.S. team coach had on several occasions injected riders with cortisone, treated them with other steroids (corticoids and anabolics) and provided them with amphetamines and other possible performance-enhancing drugs during the 1990 season in the U.S. and Europe. That other U.S. coach remains unnamed in the suit, but former U.S. national team coach Chris Carmichael reportedly settled out-of-court with plaintiffs in the case in late 2000 or early 2001. Carmichael has repeatedly declined to comment on questions about an out-of-court settlement. Strock, who was recruited to ride on the Banesto team’s U-23 development squad in 1991, fell ill after joining the team in Spain and eventually had to return to the U.S., unable to ride. He was later diagnosed with human parvo virus, a usually benign infection that can cause major problems if a patient is suffering from a compromised immune system. Indeed, upon his return, Strock’s doctors initially suspected that he was suffering from AIDS and later suggested a diagnosis of lymphoma. Strock’s attorney, John Pineau, pointed to testimony of a direct link between the use of cortisone and immune suppression, causing symptoms that mimic both diseases. Cortisone is sometimes prescribed for transplant patients to minimize the risk of rejection through its ability to suppress the immune system. Kaiter, Pineau argued, suffered from several illnesses, including Crohn’s disease (also known as ulcerative colitis). Pineau argued that cortisone coupled with the heavy use of Motrin (a non-steroidal anti-inflammatory drug) at minimum masked symptoms of previous illness or – in the case of the anti-inflammatory – may have triggered the disease. 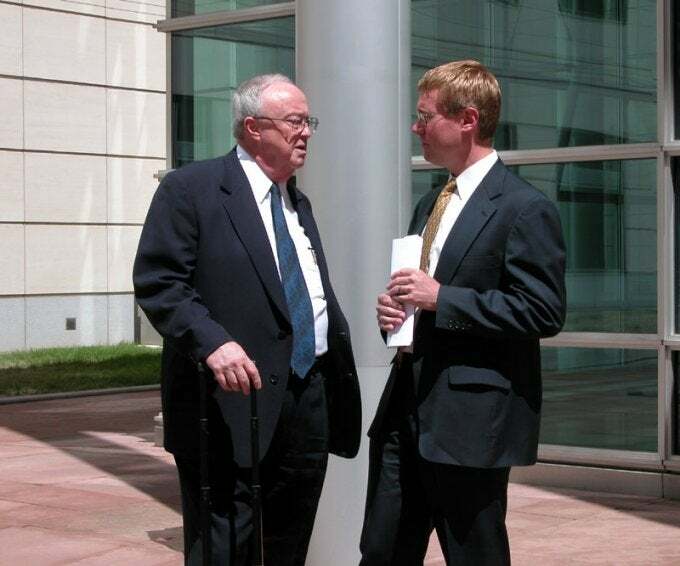 But Wenzel’s attorney, Reid Kelly, and USA Cycling’s attorney, William Senter, pointed to testimony from expert witnesses on both sides of the case that suggested there was no causal link established and that Kaiter and Strock had never provided evidence that their illnesses were in any way related to the actions of Wenzel or other team staff. The physician attending Kaiter upon the diagnosis of Crohn’s, noted Kelly, said the condition was diagnosed in 1991, a year after Keiter was a member of Wenzel’s team. Pineau countered that the masking actions of the combination of drugs delayed the onset of symptoms. Pineau said that Wenzel had conceded to using steroids himself early in his cycling career and to hiring Fraser, despite allegations that the Scottish soigneur had administered doping products to former world kilo champion Martin Vinnicombe. Despite knowledge of Fraser’s past and repeated allegations that riders were receiving injections, Pineau suggested that U.S. Cycling Federation officials at first turned a blind eye to problems and then tried to cover up the problem. In 1992, Pineau said, U.S. junior national champion Jeff Evanshine was suspended for missing a random drug test. Wenzel was later called into U.S. Cycling Federation CEO Jerry Lace’s office for a job review and then relieved of his duties as part of a “reorganization,” in which Wenzel was the only coach to lose his job. Pineau argued that USCF officials made an intentional effort to fire Wenzel without a paper trail so as to avoid future litigation. Indeed, when Strock first aired his allegations on a national television show in the fall of 2000, U.S. Olympic Committee anti-doping official Dr. David Joyner, operating under instructions from Lisa Voight, then USA Cycling CEO, acknowledged that Wenzel had been fired for doping his riders and that the governing body had acted quickly in carrying out his dismissal. Voight, he said, later attempted to recant that claim. But attorney Senter said that many of the allegations surrounding the Strock case involved the oral ingestion of a French “homeopathic” product called Surelen, a product that he said had been prescribed by a licensed French physician. Pineau, however, offered evidence that Surelen contained corticosteroids, anabolic steroids and amphetamines. Defense attorneys countered that while the printed instructions for the product included reference to cortico- and anabolic steroids, levels were insignificant and could in no way have led to Strock’s or Kaiter’s symptoms. Kane said he expects to make a ruling on the defense motion for summary judgment within six to eight weeks. If he rejects the motion and moves the case to trial, Kane said, it could be heard sometime this fall, adding an apology to litigants on both sides of the case for the delay in getting it to court. Kane explained that a combination of factors – his own illness, a lengthy class action suit and other elements of a full court docket, as well as outdated procedural rules – conspired to keep the case from reaching the courts for nearly six years. “Sometimes I feel like we’re the Conestoga wagon out there blocking traffic on the information superhighway,” he added.